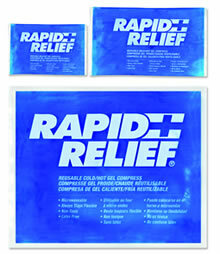 These dual use packs can be utilized as both ice packs and heat packs. Ice packs are extremely beneficial in relieving the body of inflammation in joints and muscles due to acute conditions. Heat packs work to increase circulation and lessen stiffening of joints suffering from chronic musculoskeletal conditions.